This is from a time when painting over the photographs was the norm. we corresponded a few days ago, you might remember? I thought I would write some comments here, properly, about your blog, pictures. The notion of melancholy is a cultivated one. It lulls us into a kind of self appreciation, perhaps nt always. I am seduced by this tendency to read cynically, to be full of mistrust. I consider all photos of ex- colonial societies as steps in their internal or psychic subjugations, as steps in their subject formation. Be it the innocent pictures of Lawrence or some other journey man colonial, the notion of taking pictures and having tea immediately afterwards fills me with a kind of nauseous dread. The same applies to other discourses, literary ones too. 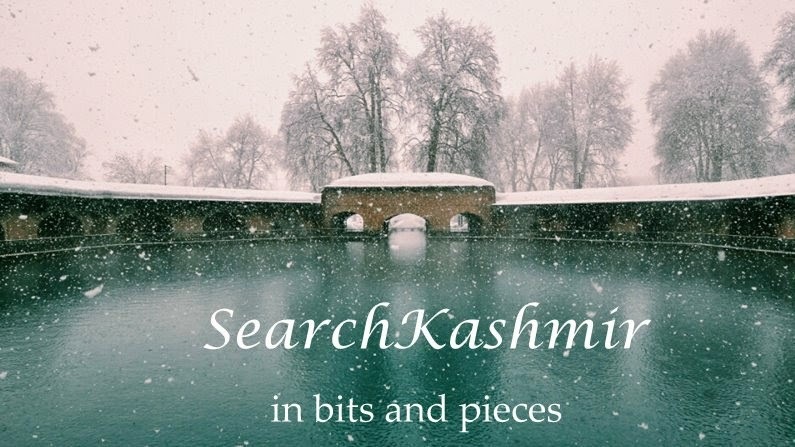 There is fundamentally nothing wrong in the pics but the idyllic Dal lake, the pictures of the blind singer or the Pandit tailors is another step in mapping people, in demarcating them, in creating a distance from the 'normative', in categorizing them. This has all too eloquently been described by Said, I am sure you are aware of that. The same tendency speaks for the Canara Bank horse, one of my childhood, consecrated now in some kind of a halo, reminder of 'better' days. The past and all such foci are invested with this melancholy and wrong notion of being 'better' but things are seldom good, no? 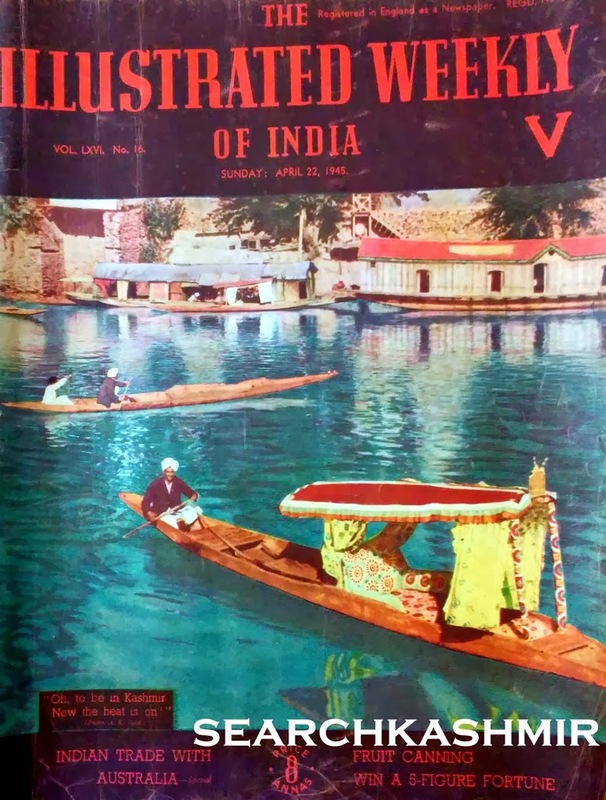 The covers of nespapers screamed with this same tendency to create, to inform, to judge and to marginalize the stone throwing or violent Kashmiri recently or the indecency of Pandit Camps in Jammu. The photo subjugates, the gaze subjugates even as the real subjugation is perhaps less or more violent. I dislike the violence of pictures. I am writing here to not offer a critique but to share thoughts at your important and tenderly melancholy effort. This effort is usually born out of distance and dreams. The native Kashmiri man has to tend fileds or graves these days; words are not important for him. I will visit your blog again. I find it excellent. As you can sense, I love the contradiction inherent in that. Yes I do remember our little chat. You wanted an old image of Hazratbal so that you can frame it and put it on a wall. I am glad someone broached the subject of orientalism. I agree with what you said or rather, I agree with Said. These image are not just a simple 'beautiful' images that given a peel into out 'better' past. I try to make it it a point to remind the readers that from time to time. Rather than talking vaguely, I have written about specific accounts about how the western visitors in Kashmir approached their Kashmiri subjects when they went about photographing. But, I am more interested in seeing how people now consume these images now. Beyond the rhetoric of 'gaze' and 'subjugation', the images here represent data. I am more interested in seeing what people do with this data. Unlike a book, in which the creator has little control over seeing how the book is getting consumed, in the 'blog' medium, the creator can directly analyse the consumption pattern of his audience. The theories that apply to intertext medium cannot is simply applied to hypertext. The images you see here now are now marketed by Kashmiris, both Pandits and Muslims, with a certain coating of indolent nostalgia. 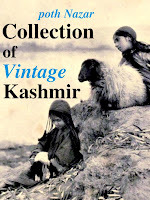 There is a publisher/bookseller in Srinagar who now uses these images to embellish his books and get more readers. The same publisher who refuses to sell 'Our moon has blood clots' in Srinagar because people would be offended by it. Kashmiri Pandits use the images for the covers of their community magazines, magazines that are usually full of pieces about Hindu Dharma and Nationalism, some muslim bashing and some Pakistan bashing. There are magazines in Srinagar who use them in their 'windows into past' section, magazines that blur the lines between activism and propaganda. There are more than a dozen pages on Facebook, run by Kashmiris, that basically copy images from here and again put a gluey coating of nostalgia over them and market them to fellow Kashmiris, who happily consume this 'better'/'tyrannical' past. There is material from this blog that has gone in books, movies and even comics. In most cases no reference is made to the source,SearchKashmir. As if all of them want a certain monopoly over the past and how they present it. I am of course intrigued by all this. When you claim, "The native Kashmiri man has to tend fileds or graves these days; words are not important for him. "...you are basically demarcating people. You are defining who to you is a 'native' Kashmiri: Worker, Dead, Unenlightened. That's too strict a definition. And you know, certainly no way that is true and absolute. You are almost claiming that people who have now put up a 'White Horse' in a shopping mall in Srinagar are not native Kashmiri. There are all kind of Kashmiris. I am not in a position to just a person because he sees all these images and feels like having a cup of Kehwa later. I am content if the person found the data that he was seeking. What's so wrong in being melancholic.And history helps us in having zoomed out view of one's life and its vicissitudes. We see our life as a cog in the greater Karmic cycle of our 4000 yr old Kashmiri civilization.Beyond our conscience and knowledge, our thoughts and actions are influenced by the continuum of philosophy and thought which has evolved through ages.So revisiting those still moments only helps in recalibrating our responses to the travails of our daily humdrum life.I have often wondered why people visit this site.But then, what is wrong in being melancholic. And to you, Mr Vinayak, thanks for your efforts and keep up the good work. As they say, "Hamari yaadoun ko hamare saath rehne do, Na jaane zinfagi kis andhere mein kaam aa jaaye"
Vinayak Adaab, keep up the good work.....oh wat a past we have had.